Indian summer has finally given way to more traditional autumn-like weather. Temperatures barely reached 50 degrees when I teed off with my cousin on Sunday morning at Fairways Golf Club. But steady winds gusting at 35-40 miles-per-hour across the course made it feel much colder. It also made playing a challenge as club selection became a guessing game, while trying to play with or against the strong gales. I enjoy the challenge of playing golf in adverse conditions, whether is be windy or rain. On a day like this, my strategy is to play conservatively and accept bogey as a good score. A bogey is becomes a par and a par is often becomes the equivalent of a birdie. Thus, the par 65 for the course is thought of as a par 83. 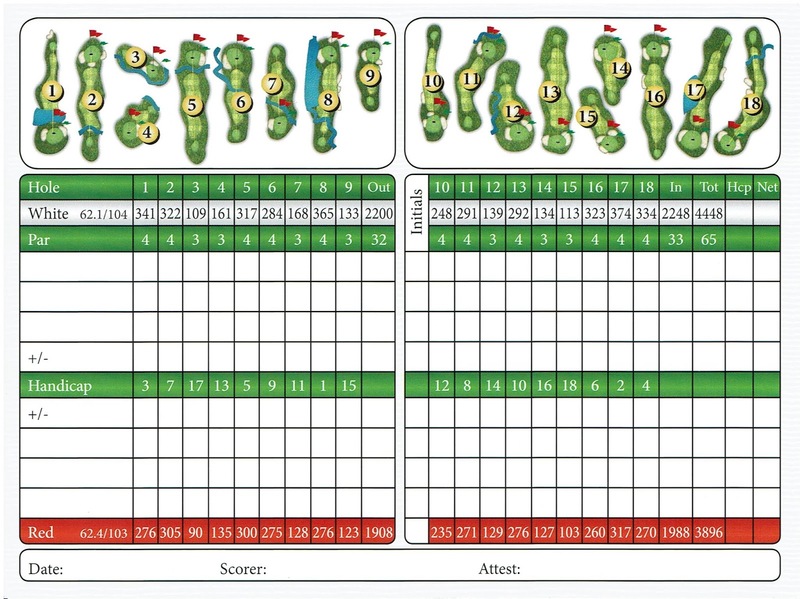 On the front nine, my strategy worked through the first five holes, with one par at the 109-yard par 3 Third Hole and four bogeys. On the Next four holes, I again made a par at the 168-yard Par 3 Seventh and just lipped out a par putt at the 133-yard par 3 Ninth. 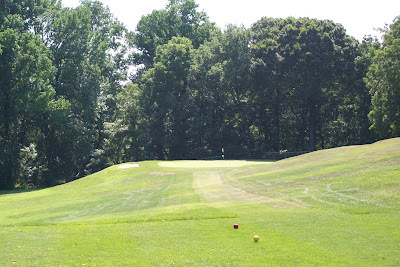 But the 284-yard par 4 Sixth and 365-yard Eighth holes both caused me problems. I made a 7 at the Sixth when I failed to get out of a bunker and made a triple-bogey and an 8 at the Eighth when I hit a tree with my second shot. This left me with a 44 for the opening nine holes. On the back nine, I started with a par at the short 248-yard Tenth Hole, then bogeyed the next two holes. A double bogey at the Thirteenth Hole--I fatted a chip on my third shot--was followed by three more bogeys. 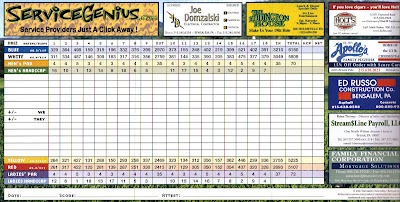 Bad drives and poor putting the Seventeenth and Eighteenth Holes saw me finish out my round with a quadruple bogey and a double bogey for a 46 on the back nine and a total of 90 for the 18 holes. 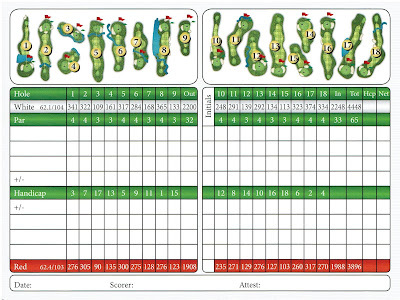 Except for the 7 and two 8s that I posted, I was happy with the way I played in the windy conditions. 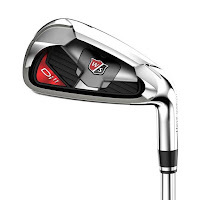 I also had two new irons in bag: Wilson Staff Di11 5- and 6-irons, which replaced the Ci&s I had been carrying. These irons are designed for more distance and they delivered when I hit them during my round. Because of other weekend obligations, I wasn't able to tee it up until late Sunday afternoon. Afraid I might be in a race against a mid-autumn sundown, I opted to go to Bensalem Township Country Club only play nine holes. I teamed up with Sean, who was also playing solo, on the First tee. 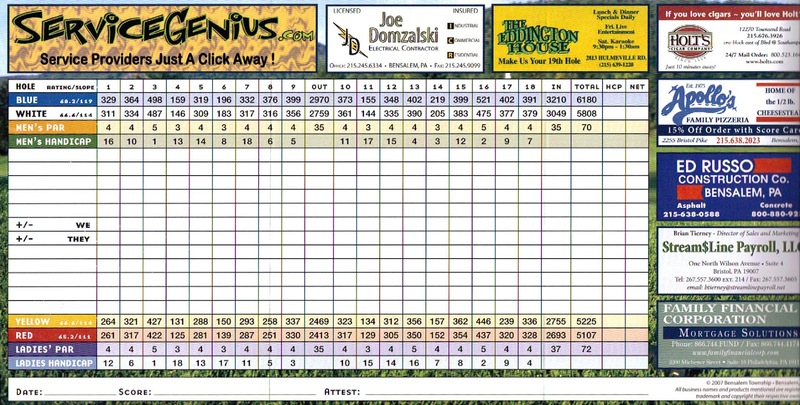 With virtually no warm-up, I chunked and chipped my way to a bogey at the First. At the Second, my tee shot found the right side of the fairway and my approach clattered through the tree that guards the right side. After pitching on, I sank a long uphill putt for par. This began I run of three consecutive pars, including the 487-yards Par 5 Third, where I just missed a birdie. My par run was halted at the Fifth after I short-sided myself with my approach shot on the 309-yard hole and made double-bogey. That left me three over par through five holes. 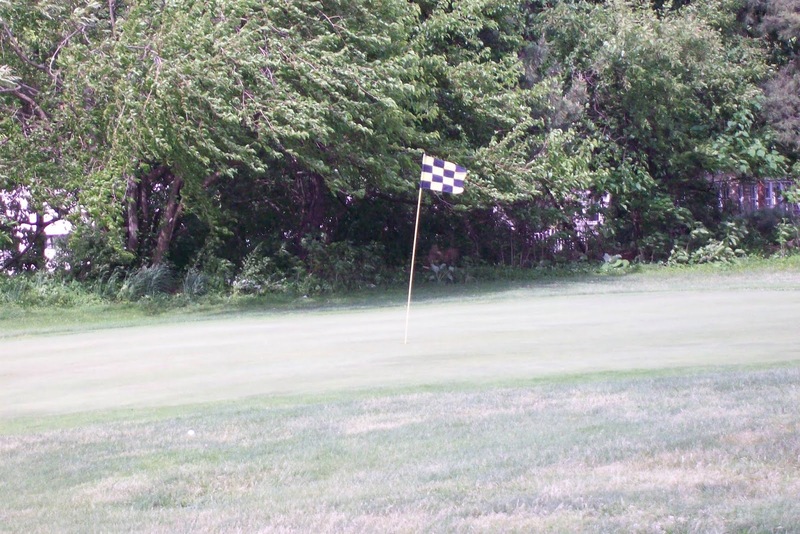 I began another short par by two-putting from long range at the par 3 Sixth and then missing a short birdie putt at the 317-yard, dogleg left Seventh Hole. Even though I made bogey at the Eighth, I was pleased with the way I recovered after blocking my tee shot right into the creek that runs parallel, then across the fairway. I hit my second tee shot (third stroke) to the left-center of the fairway, then dropped an 8-iron from 140 yards to 10 feet. I made the putt to walk away with a mere 5, when it could have been much worse. That left me four over par through eight holes. inside 150 yards, I hit my approach shot well right of the green. Having to pitch over a bunker to a back left pin, I went long and into the spotty rough. Instead of putting, I tried to chip and when well past the hole. Putting for a 7, I burned the edge, then lipped out my short tap-in, which left me with a 9 for the hole. My score for the front nine was a 44, with five pars, but it could have been much better if not for the blow-up at the Ninth. I made one drastic change for this round, splitting my iron set. 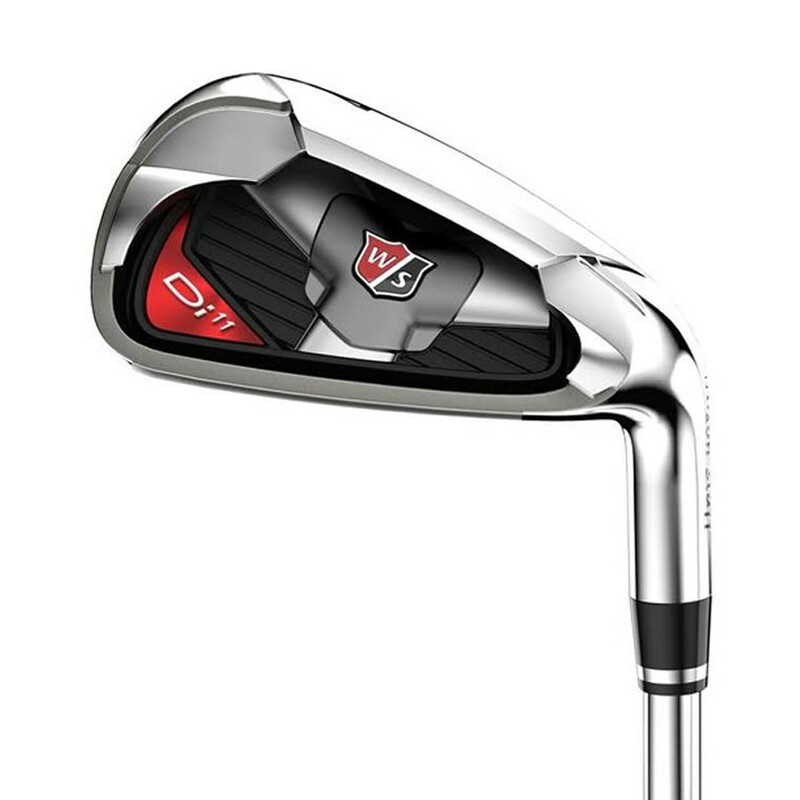 I kept the Wilson Staff V4 Utility 4-iron and the Wilson Staff Ci 7 5- and 6-irons. But I replaced the Ci7 7-iron through Pitching wedge with TaylorMade 200s. These irons, while still cavity backs, are thinner and look and play more like blade irons, which seems to give me better feel and control of the shorter scoring clubs. The rest of my irons--all Wilson Staff--remain the same: Ci 48-degree Gap Wedge, PMP 52-degree Wedge and 56-degree Sand Wedge. I want to try out this configuration through the rest season and see if it is something I want to keep for next year. I am also looking to replace the 5- and 6-irons with models that are more forgiving and have added distance. With the new iron figuration, I now have seven Wilson Staff clubs in my bag, six TaylorMade and one Odyssey (putter). 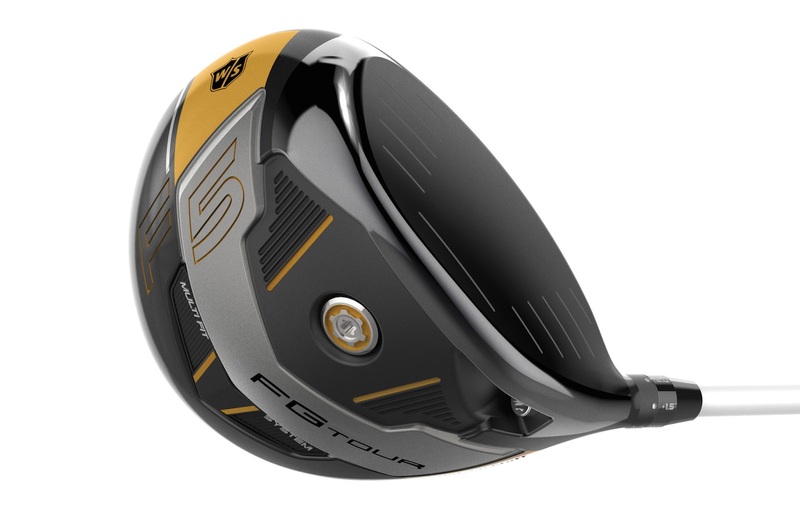 Through most of this season, I have been switching drivers and fairway woods in and out of bag. So far, I have used four different drivers and 12 different fairway wood during the 17 rounds I have played. This round at the Fairway Golf Club was another opportunity to course-test a driver, a Wilson Staff FG Tour F5, and a Ping G25 3-wood. I had acquired the Wilson F5 driver earlier this season and had used it once, shooting a 94 at Juniata Golf Course at the beginning of June. During that round, I hit most of my shots with the driver either to the right and short or a duck-hook left. It quickly came out of the bag and has been patiently waiting for another round. It got the opportunity on Sunday. eighteen. 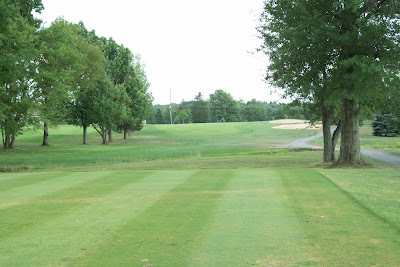 The first two times I teed off with it, my drives were anything but impressive: a low hook at the first and screaming worm burned at the second. Although I recovered to make a bogey and a par on those holes, I seriously considered whether I would hit the driver again during the round. At the eighth, I decided to tee the ball a little lower and position it a little further back in my stance, just off my left heel, than I do with my other drivers. I proceeded to hit a low draw up the right side of the fairway, one of my best drives of the round so far. I teed the ball the same at the last three holes, and except for pulling my tee shot left at the sixteenth, I hit very good tee shots. In fact, I made par and birdie on the last two holes, where I hit the driver. So it will stay in bag for now as I give it some more testing. I hit the Ping G25 twice off the tee during my round, at the fifth and thirteenth holes, and I didn't like either tee shot. 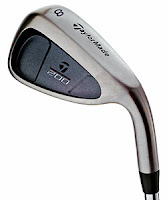 I will be going back to the TaylorMade Burner 2008 3-wood that I used for four rounds in August and September.